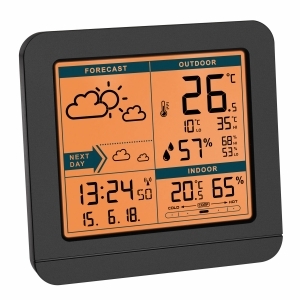 Monitor 4 temperature and humidity measuring points simultaneously with "VIEW" wireless weather station. 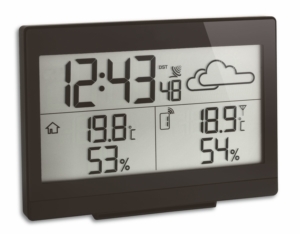 So you can see at a glance the climate at the installation site and in three other additional rooms (e.g. 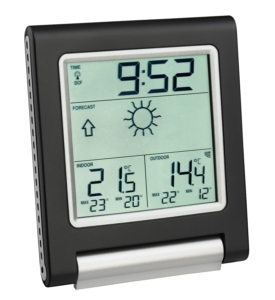 bedroom, children’s room, basement, conservatory) or outdoors and you’re always well informed. 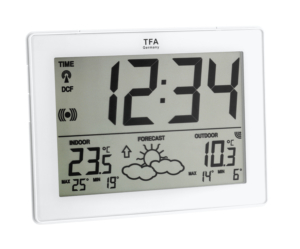 Controlling indoor temperature and humidity with targeted heating and ventilation creates a comfortable and healthy living environment and even saves on heating costs. 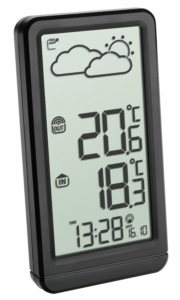 An ideal indoor temperature ranges between 18 °C and 22 °C and a relative humidity of 40 and 60%. The device stores the max and min values for all measured values, trend arrows show the current trend. 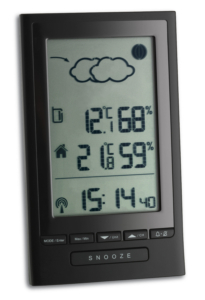 An integrated electronic barometer displays the local air pressure and based on the changes, the weather symbol gives a forecast for the upcoming weather. 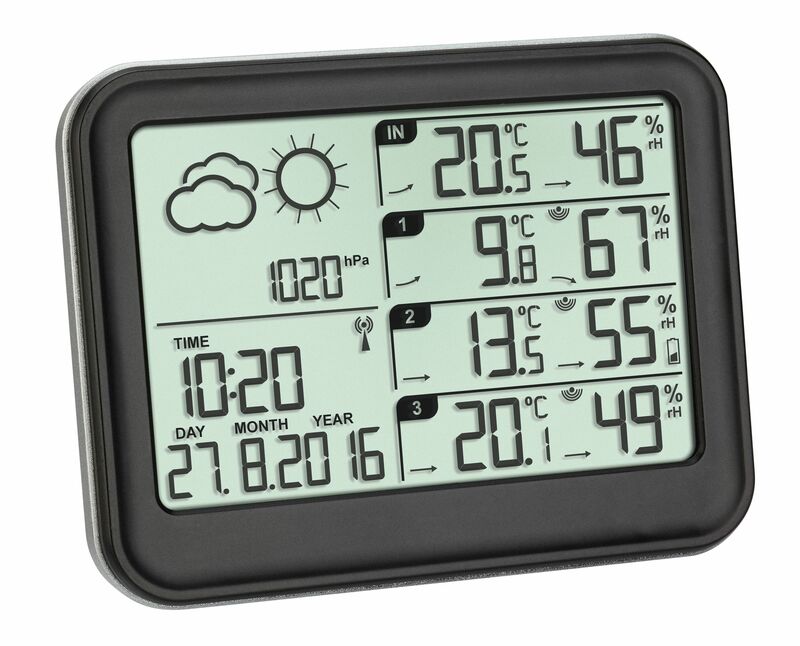 The time, date and day of the week are received via radio and you can set an alarm.